Hello dear friends and family! It is with honesty and sincerity I write to you all today. 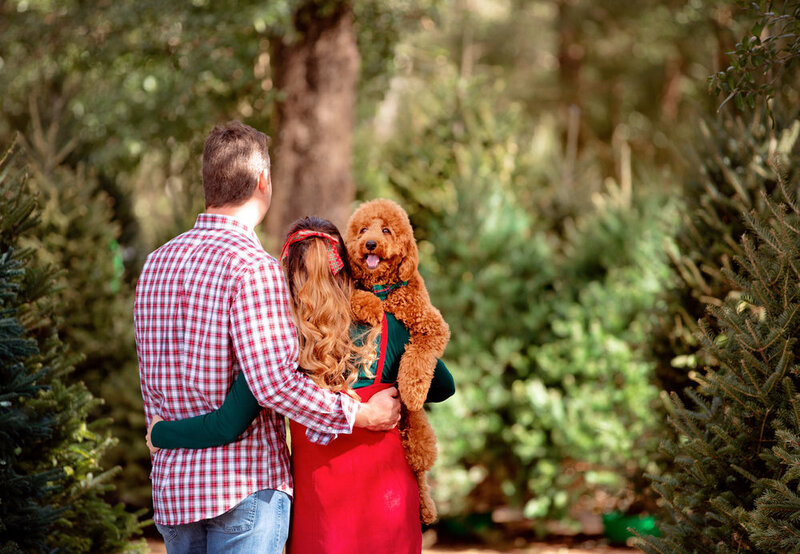 Do you ever notice how most Christmas Card’s, complete with picture perfect family photos, and an occasional typed letter with an update on the year’s happenings, tends to only show perfection and focus on the year’s highlights? This has me thinking lately as I know nobody’s life is perfect. To be honest I meant to get this Christmas Letter out to you sooner but I’ve truly been pondering the right words to say. You see in today’s world full of social media glamour, we only see the best of individuals lives. I myself am guilty of it. You know what I mean. The posted photo’s of perfectly lit, edited just enough, well planned and curated content. Professional photographs in beautiful destinations or our tidy decked out houses. This Christmas letter, “Frappampina Family Update”, is not just one of sincerity, but its also honest. Because life is not perfect and that is just reality. So why do we try so hard to only share the good moments, leaving us each to play the comparison game in life? Is it our pride? Is it because we don’t want to show our flaws out of fear of vulnerability and judgement? Is it because we don’t want to drown others in our sorrow and feel like no one else can relate? Or Is it to make our life appear to be perfect out of our own imperfect insecurities? Maybe we just can’t find the right words. I could go on with many theories, however simply put, as I said before, No one’s life is picture perfect all the time, and its important to me that you know, ours is no different. That being said, please don’t be mistaken. We are extremely blessed and beyond grateful for the many blessings and beautiful life God has given to us. So friends, this honest letter isn’t to cast judgement or to create a sob story, seeking your pity or attention. After all it’s Christmas, and I’ve always been a glass half full type of gal! Plus I’m definitely a fan of happily ever after stories and this letter is no exception to that. So let’s do this! Here are the High’s and Low’s of 2018 and what’s ahead for Mark, Archie and I. Mark and I have really developed a taste for travel and finding really good food in each town we visit. I don’t know that I would quite call myself a foodie yet, but its headed that way. To many of you this is a shock as I used to be a chicken fingers and fries girl (which I still love, who am I kidding), but Mark has really gotten me out of my comfort zone and open to trying different kinds of foods, and man you guys. I have seriously been missing out all of this time on tons of amazing cuisine! Now if only carbs didn’t exist!! We were fortunate to be able to begin the year with a trip to Park City Utah for some fun in the snow! What we love about traveling is not only seeking out new food (a nice change from all the chain restaurants in Orlando), but as a way to discover what we like and don’t like in a community. As pretty as the snowy mountains were in Utah, we kind of feel like we can check this place off the list. Although, we did have fun riding the gondola, relaxing by the fire in our hotel room, building a snowman and snow tubing! In order of events, on a happy note I had the joy, privilege, and mixed emotions (ladies you know) of turning 30 this year! Devastatingly, just several days prior I can remember vividly sitting at the doctors office receiving the news that Mark was being diagnosed with Hodgkins Lymphoma. I remember instead of grieving in that moment I went into full on caretaker-survival mode that day, calling our insurance company for prior authorizations, scheduling surgeries, chemotherapy treatments and asking the doctor questions regarding prognosis (which was very good thankfully). The rest of that day and week gets kind of blurry from there. I really surprised myself this year in how strong I was able to be mentally while wearing multiple hats, and how strong Mark’s body was able to be in fighting this horrible Cancer. Unfortunately, I think at times my strength, came off as lack of care. It’s been a trying year to say the least. What I can remember and say is despite Mark having just received this news and dealing with his own emotions and fears about everything, he was still there for me to celebrate my birthday and helped by taking photographs of my 30th Tea Party with the girls to make the morning memorable and special for me. He really has been so supportive of me throughout the year, even learning photography and still vastly improving, to assist with my blog! Speaking of, I am so thankful to have experienced some success with my blog thanks to all of y’alls support. They say find what you love and figure out a way to make a living doing it, and I’m on that mission. I wouldn’t be here without the support from you, my family and especially my husband. It get’s better from here as again, Mark being the determined fighter that he is, he wasn’t going to let Cancer stop us from traveling for as long as he could throughout the 6 month chemotherapy process. So we took one last trip until he ended his treatment in hopes of remission, and it was an epic trip. It’s been a long time on the bucket list to visit Washington DC, and personally for me to go during peak Cherry Blossom Season (which is incredibly hard to time). In April, God blessed us with the Cherry Blossoms, literally going into their peak bloom while we were out there for our vacation. I couldn’t believe we even got to go there this year with everything going on and then the fact that the cherry blossoms peaked, was just a sign it was all meant to be. It was beyond beautiful. And please don’t even get me started on the food in DC. We found the best authentic Italian restaurant and Asian Fusion cuisine there! It was deeeelightful and will be a trip that was truly so special, I will never forget it. Moving on to some really incredible news. In August, as many of you know, Mark officially beat Cancer! That clearly was the highlight of the year. Cancer really causes you to refocus on whats truly important in life. We are beyond blessed and so beyond grateful to have had Mark overcome Cancer in a relatively short amount of time in the grand scheme of things. There is only a 20-30% chance that the Cancer will ever come back, so your continued prayers and positivity are so appreciated. We’re extremely thankful for the people who were here for us during the hardest time in our lives as a married couple thus far. We continue to work through the emotional aftermath of Cancer and I believe we are all stronger as a family because of it. To celebrate this triumph, we took a nice and relaxing vacation to Mark’s favorite place in the Bahamas, the Baha Mar, with several close friends. For the sake of writing a novel, I’m going to share several other significant events that positively impacted us this year. For starter’s we got to see my brother who I haven’t seen since our Wedding! He planned a surprise trip to visit with us all and we thoroughly enjoyed his company. Speaking of enjoying company and family, I was able to go on a mother daughter vacation to my Mom’s hometown of Kutztown Pennsylvania and spend time with my Mom-Mom and my Aunts and Uncles! We had the best time and got to catch the fall leaves in the peak Fall Foliage colors! It was so pretty!! Also, I got to take my Mom to the Taylor Swift Reputation Stadium tour with front row tickets. You couldn’t get any closer to the stage and it was epic! A night that will be remembered forever. Also Mark and I got to see Justin Timberlake front row on the floor. I was so close I literally almost touched him at one point! This night was golden and a long time dream that came true! We’ve wrapped up another year with another snowy vacation and this time to Quebec City! This place is like literally stepping into a Hallmark Christmas movie y’all! Highlights were, trying poutine, the French Onion Soup (to die for), ice skating, watching the snow fall from inside a cozy french restaurant, and dog sledding! The dogs were amazing, the people were friendly, and the food was incredible!! We really would enjoy to go back. This year, despite it’s challenges has been full of so many amazing memories. Above all, I would have to say our biggest joy has been getting to bring home Archie-kins!!! Our 10 month old, red goldendoodle! I rallied some family to all come together to be able to get Mark this companion dog for his birthday and he has been the best thing to ever happen to us. During an extremely trying year, full of its high’s and low’s, this dog has brought us so much unconditional love and joy. He also reminds us of what a virtue patience is! We couldn’t be more thankful for such an amazing blessing with Archie. I can only imagine what it would feel like with a child! All of that being said, with a rollercoaster of a year, a love for travel, and a longing desire to experience seasons, it’s with great excitement that I get to announce we are moving to Winston-Salem North Carolina!! Earlier this year I was promoted to Senior Molecular Sales Consultant and a door opened for a region in North Carolina that after long discussions with Mark and family, I have happily accepted. Mark is in talks with several companies as well in the area, and we just feel in our heart this is where we are meant to be. I know we are destined for great things, although it is very bitter sweet to leave our friends, family and everything we’ve worked so hard to build in Orlando Florida, including our year and a half old house. We just feel this is our fresh start and a place to really create our home in. We’re so looking forward to seasons, change, and the hope of new beginnings and a fabulous, happy, and healthy 2019. Your love, support and prayers mean the world to us. Merry Christmas to your family and wishes for a Happy, Healthy New Year! May we all count our blessings.